These past few months have been tough ones, physically, emotionally and whatever-elsely. Any leave I have taken has been related to either medical or family matters and so I have been approaching this break with some anticipation, if not desperation! The plan was a cunning one. Given that Friday and Monday were both Public Holidays here, I decided to finish up on the Thursday evening and then take a few days as a buffer before the hankered after healing trip to Malaysia….. In those six days between finishing work I would relax in Yangon, take time to prepare for my break and take care of a few tasks which I have not quite managed to work through. You know the ones, the not-urgent-so-they-get-put-to-the-side tasks. This included tasks which although not quite urgent are still important – setting up a scholarship in memory of my father for the Tall Ships Youth Trust, overdue and unanswered correspondence, medical reimbursement claims, a heap of boring-yet-important paperwork tasks. It also included planning and dreaming time (the “focus” part of my three words for the year) and regrouping in terms of creative and personal priorities for the year. It included catching up with friends and having lazy lunches and coffees in Yangon’s nicest spots. Great plans for a few days pre-holiday break. So I was not expecting the assault which was waiting in the wings for me As I tidied and wrapped up priorities and essentials around me on Thursday I was aware that I had the occasional sneezle. Now my sneezles, I like to think are rather dainty, little soprano “aaa-teeeesh” sneezles. The type that can break windows and crystal glasses. The ones which were appearing on Thursday however, were deep Pavarotti-like “HHHAAAAAA-TRUUMPH” thunder claps, so unlike my own that I could have been convinced that I had been taken over by a dozen tenors with hay fever. It did not happen too frequently though for me to give it much attention, and I handed over my work tasks, worries, tidied my papers into a single “welcome back in two weeks” bundle and spent a pleasant Thursday evening with a friend. I still had the occasional sneezle, but nothing really of note and although feeling very tired, reached home later with no inkling of the impending ambush. I had probably only been asleep around an hour when I realised that something was brewing. My nose was becoming really stuffy and there was a familiar discomfort on breathing which heralded some kind of upper respiratory cough/cold ahead. By the time morning arrived I was in some sort of meltdown. Some very nasty virus had clearly taken quite a hold. My body was already fighting the abscess, which had required a change in antibiotics, and I knew I was run down and tired. The perfect welcome committee for what would normally be a tedious, run of the mill infection. It was frightening just how quickly and how low this knocked me down. I completely lost four days, four whole days to feverish dreams, painful coughing, streaming eyes and nose and debilitating weakness. Half of my face (or so it feels) has been taken over by an angry cold sore the size of a Pacific island. I can’t even remember the last time I had one of these wretched cold sores. I don’t believe I have been laid quite so low since the chemo days. Indeed, the last time I lost so many days was during a bout of pneumonia when my white cell count lowered enough to let that across the threshold. But even in those days, I was able to get myself dressed and out to the Doctor for twice daily intravenous antibiotic infusions. I am not sure where these past four days disappeared to, but they did evaporate and finally today, I have felt well enough to raise my head, dress and even tiptoe gently out of the house. One of the delights of living in Myanmar is that there are so many ways of pampering yourself which are affordable and easily accessible. At the end of our lane there is a small spa or beauty parlour, I’m not sure how I would term it. However, it classifies itself, it is a haven for tired and flagging souls. I decided that my first venture back into the outside world would be for one of those luxurious hair washes which are so much part of life here. It is not far to walk, but probably just the right kind of distance. Near enough to cope with wobbly legs, but far enough to at least feel as if I am stretching those muscles just a little. With the abscess and then this lurgey, it has been nearly two weeks since I have been able to swim or cycle so gentle exercise is sorely needed. I turned up on the doorstep of the spa, and requested a tea tree oil hair wash as the scent is reminiscent of eucalyptus and so soothes those airways beautifully. Quite why it also smells like a giant “after eight” mint I am not sure, but it does and I tend to imagine I am wallowing in one of these mega treats! The visit was rounded off with a tentative acknowledgement of my forthcoming trip – holiday toenails. This week I seriously doubted whether I would actually be well enough to travel and whether it would be wise. Feeling confident enough to have my toenails done is the most significant, yet seemingly trivial, signal that I finally feel well and confident enough. 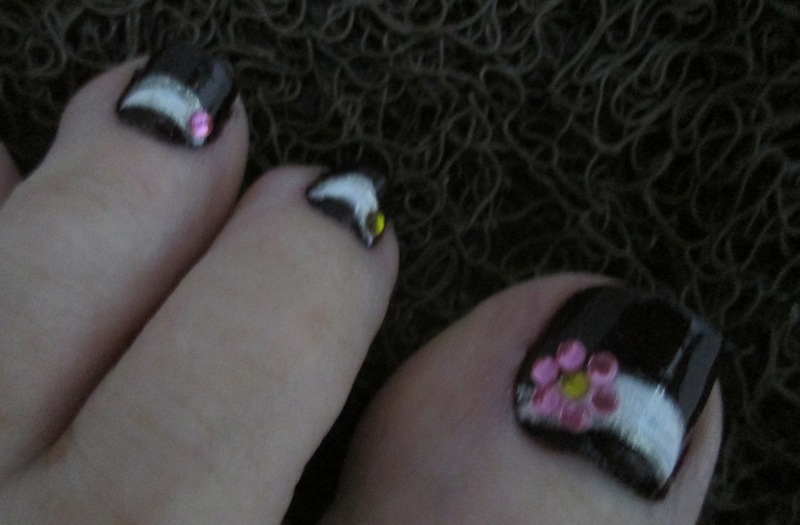 And if I feel well enough, confident and have holiday toes? Then I had better start packing sometime soon…….. The lost days – Friday, the lost weekend and beyond……..
Sleep was even more elusive on Thursday night. My arm and the IV line were really quite tender and when I did sleep I was woken by discomfort in the IV site. That triggered more scary thoughts. I got myself in a particular tizzy about the vein swelling or clotting and imagined that my arm was really swollen. Then I had those really irrational “I can’t phone the Dr in the middle of the night” thoughts and that led to me wondering if I should try and remove the IV line myself if I got really worried about and what stage would it need to be to warrant me removing it. And of course total reluctance because that would mean finding another vein in the morning. All totally irrational stuff, typical for the middle of the night. Switching on the light and looking at the arm provided a bit of relief. It was not visibly swollen and once my thoughts became more lucid I realised that it was not as painful as I thought it was, although it must have been bugging me to wake me up. Finally dawn came, and before long it was time to return to the clinic. I was again slotted in before the start of the regular day, adding further to the workloads and hours of the Dr and her PA. The Dr told me that she had had a good discussion with Dr W2 the previous evening and again between them, they had identified the treatment path. My temperature was lower, though it had raised again the previous evening so I was along way from 48 hours of being afebrile. Then it was scary time again. Time to see if the vein would accommodate the antibiotic. It was by now terribly tender so I half hoped it would not work, although the thought of another needle seeking out another vein in the leg still grossed me out, as well as scaring me. My arm was again unwrapped and the Dr started to have a look at the site. She was concerned that it was really bruising but there is no surprise in that. With gentle coaxing she was able to flush and clear the entry point and with my eyes tightly shut, willing more than anything, I waited to see if the infusion would go in. Can you believe – it did!! That amazing, exhausted vein was coaxed and persuaded to allow another dose into my blood stream. This time was without doubt the most painful. The bruising around the site made it incredibly tender, and the fact that the fluid has to go in “in a slow push” meant that every second was really tough. Finally, finally it was in and the infusion over. The needle could be withdrawn, with great relief. The final irony of this vein was that when the needle was taken out, after clotting so quickly each time before the infusion, it refused to clot and close up!! This meant it required quite a bit of pressure to get it to stop bleeding. Not easy to be cooperative when any pressure results in the arm retreating in the opposite direction! The relief was enormous. Now I could move onto oral antibiotics exclusively. 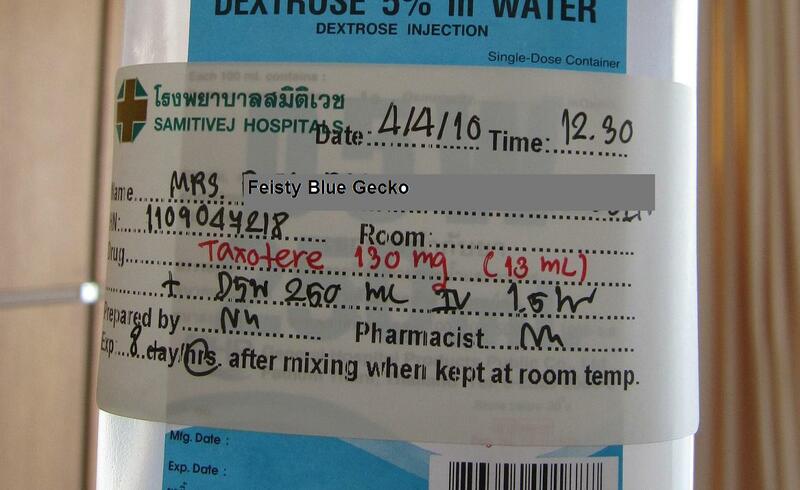 This meant a change from the antibiotics I was taking and starting monsterbiotics. This was in the form of 2 types of very strong antibiotics particularly for people with suppressed or compromised immune systems. It was nearly 9 am when all was finished and we left the clinic, exhausted. My grand finale had been to walk back into the waiting room, so relieved at the removal of the needle and prospect of no more vein hunting – that I totally forgot that my hat was in my hand and not on my head! Luckily, there was only one other person there and, bless him, he didn’t even react to the sight of a bald woman tottering towards him! Clutching my monster pills and with instructions in my head of what to do I could finally head home. And so to bed. I am not sure what else happened on Friday, the third lost day, except for spending most of it sleeping! To be honest, the last days have probably been the most difficult so far of this breast cancer road. I feel weakened, nauseous (monsterbiotics? 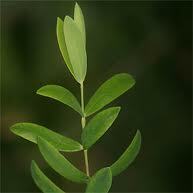 ), constantly exhausted and the cough of the pneumonia has started to take hold. I can’t stand for long, nor walk for any distance and of course my beloved swimming is out of the question for now. I am sleeping for hours, and most of the rest of the time I spend lying down. While my fever is much lower and within acceptable limits, my temperature is more raised than normal, adding to anxiety. I just want to feel better and heave energy again. I am not even thinking ahead to Sunday. We will travel as originally planned tomorrow to Bangkok and see Dr W2 on Sunday. It is unusual and strange, but chemo 8 is just not on my mind. I have to get over this hurdle first and Rocky might be ready but I am not sure if will get the all clear for the next battering. It is not easy to sleep with two arms which are awkward and not comfortable. It is also difficult as typically in the middle of the night, the scary thoughts come back and all sorts of scenarios play out, including some pretty scary diagnoses. It is also difficult to sleep with the thought of another scary infusion session to start the day and the possibility of another vein hunt. So I was still pretty tired and anxious when the time came to head back to the clinic on Thursday and face the next stage. My appointment was schedule for before the first patient – partly to get the next infusion in promptly and partly so minimise my contact with other patients in the waiting room. The Dr and I were both fairly quiet as the arm was unwrapped and the IV area examined. I was willing the line to be open and was very relieved with the Dr said she had been able to flush it. Again though, it closed in the few moments between preparation and infusion. I lay there, eyes closed, willing it to free, imagining the blood coursing and flowing. I know it sounds crazy but it is hardly going to do any harm, is it? Desperate times call for any desperate measure. Finally it worked and the infusion slowly fed in and my arm all wrapped up again. My chest and breathing were also checked and I found it a little uncomfortable to inhale deeply, my breath catching a little and my chest feeling a little irritated. It was time to head back to the lab after checking four or five times what time I was to return in the afternoon. My brain is having problems retaining details and 3 o’clock was a particularly hard one to grasp. This was my first visit to the lab when I knew that they were not going to stick a needle in me! Although I didn’t want to tempt fate, I could not imagine that an X Ray could possibly require needles! The Lab reception staff met me with the greeting of “Oh Complete Blood Count” and were surprised when I handed them a different referral form. With Twang Arm in charge and right arm immobilised and now pretty tender and sore it was another challenge getting prepared for the X Ray. The Radiographer had plenty of opportunity to puzzle over my scar and before long was asking questions. “Was it a biopsy?” (A biopsy??????? A scar and lesion that big???? ), what was the diagnosis (err – all on the referral form) and treatment? (also on the referral form) and which site was having the chemotherapy?? (try to explain systemic treatment as opposed to localised….). So maybe I have learned quite a lot in this whole experience. Glad I can share it! After the X Ray and a short wait to make sure the image was clear enough to analyse I was free to head home – and I was well in need of a lie down and my morning nap. Being unwell and the antibiotics were making me really tired, so the best thing is to spend the time horizontal. I don’t remember much between then and time to head back for infusion 3, but that is probably because I was dreaming for most of the time. We dropped off at the Lab, picked up the X Ray and report and headed back to the clinic. Red alert – there were children in the waiting room so I was ushered out of the clinic and asked to go and wait downstairs. It is such a thoughtful and careful environment – the Dr and her PA think of everything and do not want me to run any added risks. Another example of how extremely fortunate and well cared for I am. Soon enough, the children had been seen, I was back in the clinic and handed over the huge envelope to the Dr.
She spent a few minutes looking at the images and report. “I thought I heard a bit of a rattle”, she said! I had no idea what that meant. She explained. I was stunned to hear the word “pneumonia”. Stunned and pretty scared. However I was a quickly reassured by her analysis. Pneumonia is treatable, and more importantly, treatable by the GP, although of course Dr W2 would be closely involved in the treatment path. Additionally, it meant that this infection was not a complex or obscure (or difficult to treat) infection. There are clear treatment protocols and guidelines for chemo patients with pneumonia, as well as the immense experience of my two wonderful Drs . So that was the “good” news. Now it was time to see if the IV line was going to cooperate enough for the next infusion. I could see the Dr looking at my legs again…….. The experience was almost identical the morning – it seemed to work, then clot, and finally with a lot of persuasion it finally allowed the infusion to run. Again I closed my eyes and imagined everything running smoothly and the Dr said she was also willing it hard to work! However we knew that the chances of the IV line lasting much longer were very slim. The Dr said it would come out in the morning irrespective of whether it worked or not. The fact that the leg would be used was unsaid, but very much on the minds of us both. Again I was all wrapped up and headed home, arm throbbing and aching and feeling pretty awkward. Time for a nap. And so to bed. And that was pretty much what I remember of Thursday – the second lost day. You know it is not a good day when twang arm is suddenly promoted to being the good arm. 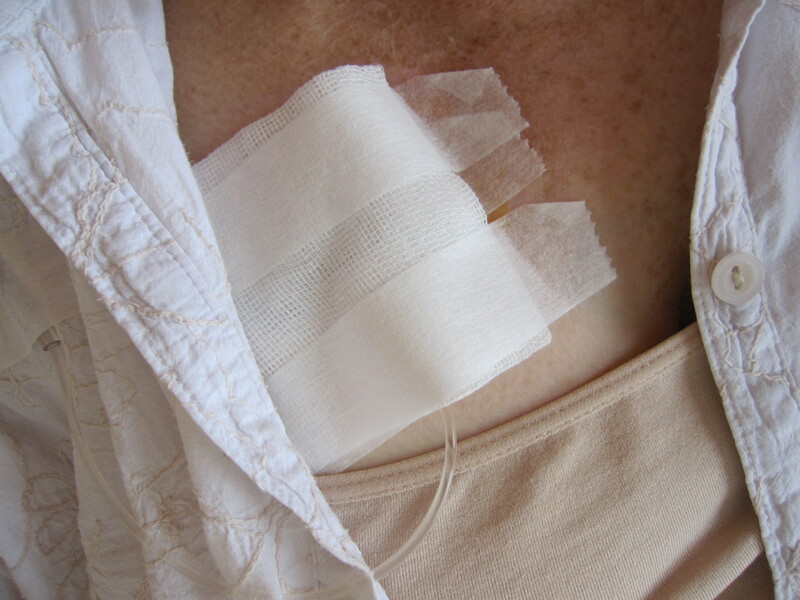 You know it is not a good day when you can see that you are at risk of committing one of the serious sins of a chemo patient – running a temperature. You know it is not a good day when nearly 10 days after chemo you still feel really rotten and are giving up on ever feeling fit and well again. Wednesday was not a good day. Wednesday marked the start of the lost days……….. I have to remember that I have managed to get through 5 months of chemo and avoid fever or serious complications. Although there were a couple of occasions when my temperature rose a little, and threatened to approach the 38° trigger for a brief while, it was no more than a flirtation and I had not become febrile. 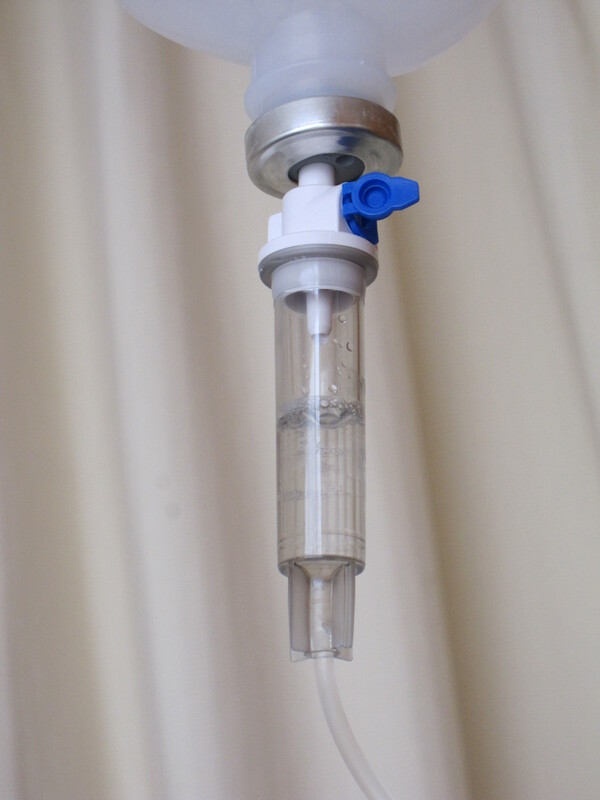 Chemotherapy compromises the immune system so the body has little or no resistance for any infection and it can be extremely dangerous, quickly. Scary stuff! On Wednesday, the day started fairly innocuously although there was something not quite right even from when I got up. I still felt generally unwell, blaming it on post chemo bleugh, which does tend to last a bit longer each time, and even wobbly and a bit weepy. My temperature had been a little higher than normal the evening before, but well below the trigger. It was still a bit raised in the morning so I knew I should keep an eye on it. As the day progressed, it did too. By lunchtime it was well in the 37s and not really reducing. The difficulty was this kind of half way house – it was not at the level to react rapidly, but it was also not normal. I had a lie down and willed it to go down. When I checked it later it was stubbornly sticking around 37.8° and not really reducing. I also know that it tends to increase rather than decrease as the day wears on. However, I didn’t want to be a total hypochondriac and phone the Dr with a nearly temperature! So I decided to call the surgery and just share my dilemma – should I keep an eye on it or should I make an appointment? The Dr’s PA took the details and said she would call me back once she had spoken to the Dr. That felt better. There were a few things behind my reaction. Partly fear and vulnerability of what was wrong. However, there were some practical and logistical troubles which took greater prominence than they should – I knew we did not have the right papers in our hands for hubby J to enter Thailand so I would in all likelihood be heading alone. Not knowing what was wrong and how serious it was would be difficult for J if he was held back until he could travel. I knew also that if I left that night we could well be away for many weeks (as we move to radiation) and the thought of rushing out of the door with only enough time to stuff a few essentials in a bag and no time to talk with anyone was really difficult. The rational side of course knew that these elements were not important and that rapid treatment was the vital thing, but emotional and rational sides often do not cooperate. There were no glaringly obvious signs of what might be causing the fever, – yes I had a bit of a scratchy throat (I always did after chemo), mouth was a bit tender and same (same) although I had noticed that I had a little discomfort on inhaling deeply, though not as much as a cough. The first thing the Dr did was to phone the hospital in Bangkok and our wonderful liaison manager. Can you believe that within 15 minutes Dr W2 (who was not even on duty in the hospital) had been tracked down and was on the line to speak with the Dr here? Even in my pathetic state I was impressed! There was a rapid exchange of information and within a few minutes, the Drs had set out the next step. I had to go straight to the lab and get a CBC – Complete Blood Count. If the neutrophils were below the minimum I was on my way to Bangkok. If they were acceptable the two Drs would agree a diagnostic and treatment path based on the pathology. I winced and gave my right arm yet again for the blood test, and with some difficulty blood was eventually found and drawn for the count. My veins are becoming increasingly difficult to access because Twang Arm is exempt from blood tests, injections and Blood Pressure checking. Great, except that right arm is now in a state of perma-bruising (like perma frost – it never goes away 😉 ) and marking from the regular needle sticking. We waited for the results and J and I guessed what the neutrophils count would be. It had to be between 1.5 and 6.6, so J put his money on a modest 1.8. I held out for a more convincing high count and declared 2.7 as my guess. After a while I was called to the desk where I was requested on the phone. The Lab had phoned the results directly to the Dr and she wanted to speak to me. Our guesses were way out. My neutrophil count was a surprising 14.76!! Now that seemed like good news on the face of it. However the Dr quickly explained to me. This shows the very clear presence of a bacterial infection. We were to head straight back to the clinic and review the way forward based on this pathology. The sun was already low in the sky and my stomach knotted with the uncertainty of a possible flight to Bangkok and the unknown, within a few hours. With the pathology report, the two Drs consulted again and after a little discussion and clarification a path was agreed. Good news – start treating right now in Yangon, with follow up X ray and other tests in the morning to try and find out the type of infection. Bad news – intravenous antibiotics where there was seriously limited access to the veins. The Dr and I both knew that a difficult and unpleasant time was imminent. She had already checked my veins and been highly unimpressed! She had a good look at the arm and tried to work some of the veins into prominence – at least enough for needle access. We did talk about the port, but the difficulty was that she was not familiar with its working and also I remember that the port seems to use a special needle. Neither of us felt it a good idea to risk ruining the port even although the alternative was not so attractive. She also spent a bit of time looking at my legs. Once the arm access is compromised there is no choice but to find other access. As if it is not bad enough having an arm which has lots of marks along the veins, I could end up with marks on my legs too! Wonderful! The Dr identified a couple of possible entry points and encouraged the veins to come up. She also very thoughtfully prepared a paediatric cannula, keenly aware of how sensitive my poor chemo skin is. She talked me through was happening and we got to that horrible point (literally) when I heard the rip of sterile packing which indicated the needle about to meet my skin. The first vein didn’t work. It had looked fairly promising and had not been used too often, but it was quickly clear that it was not going to cooperate. So starting again, locating the next best one (or the second least worst one?) and having to finally settle on one which would be the last choice. If that didn’t work – eugh – leg time!!! The Dr was reluctant to try this one, as it is in an awkward site (near the elbow) and immobilises the whole arm. Vein beggars can’t be choosers though! A few minutes later, we were at the same point and the needle was again sliding in – oooouuuuuccccccchhhhhhhhh! Gold! It reached the vein and Dr started to prepare for the first antibiotic infusion. (There had been no point in having this ready as we knew access could take a good bit of time). When she started to infuse the antibiotic, she spoke scary words – there is some resistance………… it seems that the vein had quickly clotted and the point sealed. I started producing saline from my eyes and wondered where I could hide my legs. Not to be beaten, she worked on the vein and flushed the cannula to see if it would clear. Finally it did clear and the antibiotic started to go in. It needs to go in by a “slow push”, and gently the first dose was all despatched into the blood stream. Given the difficulties in access it was clearly the best thing to leave the cannula in, even though it would be uncomfortable and immobilise the arm. We also knew that we were lucky that the cannula had worked once – the chances of it working for the full 4 doses were pretty slim, especially given that it had closed up so quickly. Finally, clutching a prescription for the oral antibiotics we were able to leave, with my arm bound, protecting the IV line. I had to return in the morning for the next infusion and we were all hoping and praying for the line to work again. It had been nearly 4 hours since I had left home that afternoon and so much had changed. And with my right arm being rendered immobile and unusable – Twang Arm suddenly became the good arm! It introduced me to the very interesting activity, which should be an Olympic event (not a triathlon event!) – Twang Arm Tooth Brushing. This combines the challenge of brushing with the left hand with the added factor the arm being Twang! Put it this way, the activity is not complete until all traces of toothpaste have been removed from the face. And that was Wednesday, the first of the lost days. I’m trying to reconnect a bit with the world as I have been a bit out of it the past few days. An infection finally caught me and the suppressed immune system and the past few days have disappeared under a bit of a haze. I am getting back on my feet and doing fine, with excellent care as always.